Before it becomes April, I figured I should start posting Disney things! We spent eight days at the parks this trip (it was a lot). I didn't take as many pictures as you might expect--Sol had to go home for a few of the days to do some work and three kids just keep me busy. I did get some shots that I love--but I always kick myself for only grabbing the camera when they meet characters and getting fewer of the more candid shots. Everyone needs a picture with the castle! Except Keaton, who made a run for it. 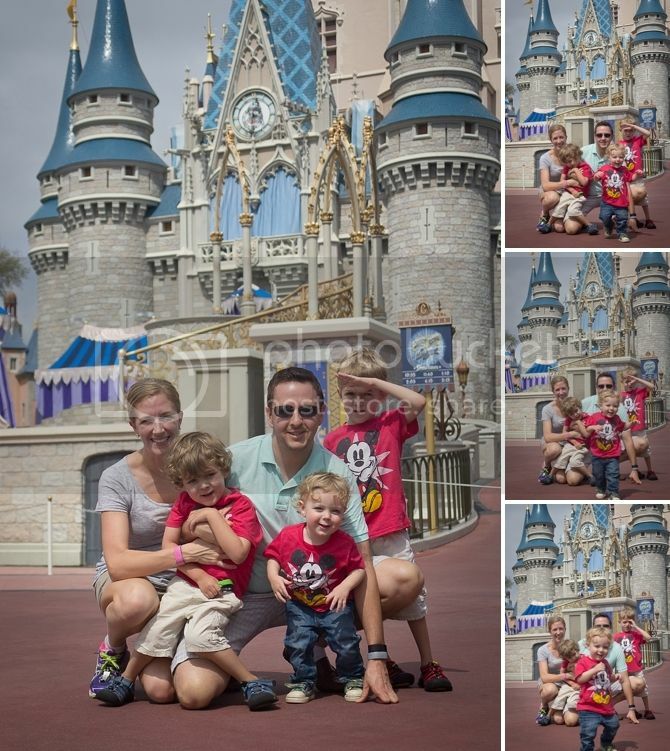 We were really lucky to have Courtney with us this trip--a former Disney photographer. It means I'm in a few pictures! Hooray! We (and especially Finley) are suckers for the Street Party Parade in front of the castle. All the characters and performers get down off the floats and the kids (and Sol) get to dance with them. Braden wasn't sure if he wanted to have fun yet. Dumbo! And little Piper dressed as Elsa. 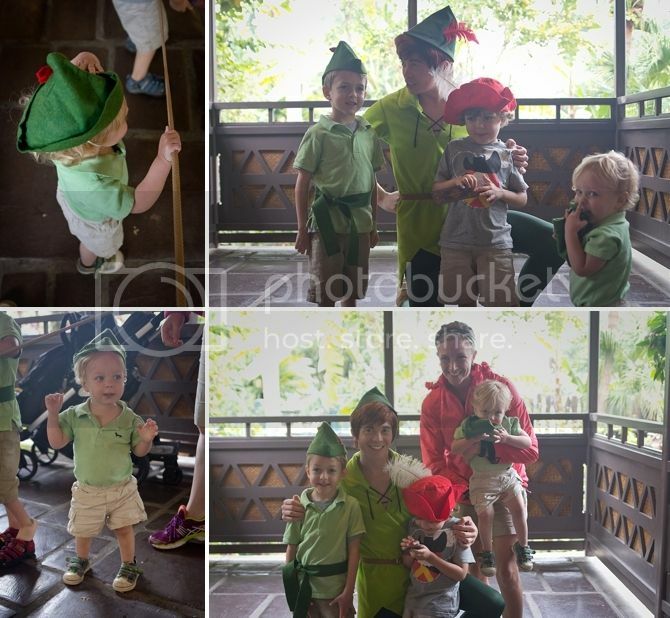 This was our first trip to get to ride the Seven Dwarves Mine Train--and its pretty fun! This video has Sol, Court, Braden, Finley and I on the thrilllling ride--frozen on a lovely shot of me. 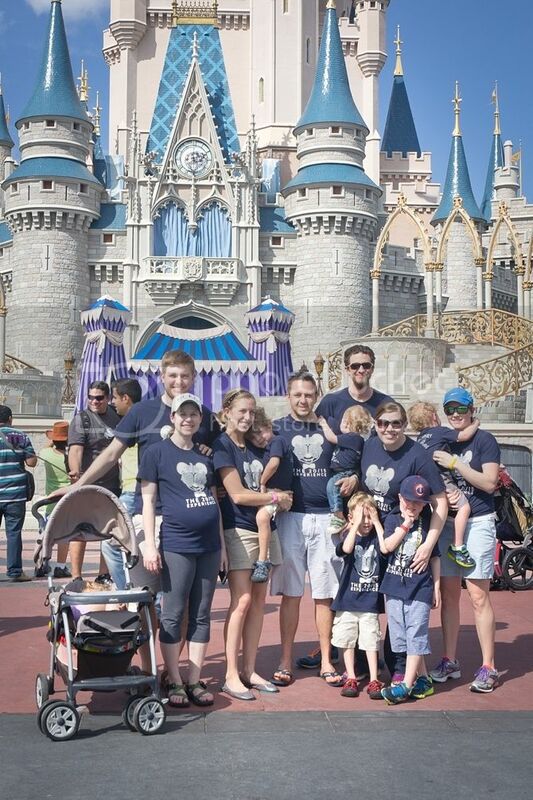 The next day at Magic Kingdom... Yep, I made us all Justin Timberlake shirts. They made us very popular. Cory tried so hard not to wear his unless he had to--but I think he secretly liked it. We got lots of comments and we thought we were hilarious. We made it to rope drop most days--a perk of children who all wake up very early. The opening show at the Magic Kingdom is fun and sweet--as is rushing through the park to get in a short line. The whole group in from of the castle! And some faces--it was clearly very sunny. It was SO fun to go with a big group. They were very kind to me and (for the most part) followed the plan I made for every day. 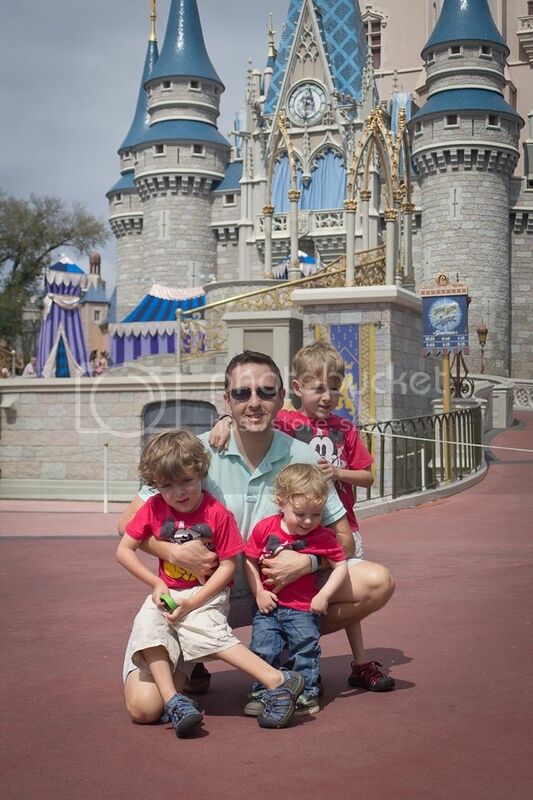 They'll thank me if they ever have to go back to Disney and fend for themselves. Carousel! 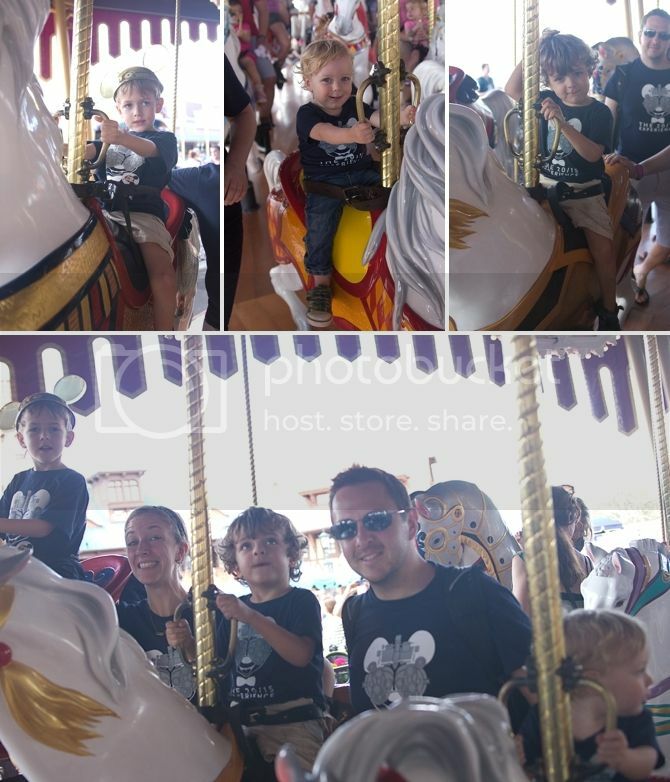 I always think its funny that Disney even has a carousel... but everyone loves it. And Courtney almost got a picture with all five of our faces--not easy when you are standing on a spinning platform with everyone going up and down. 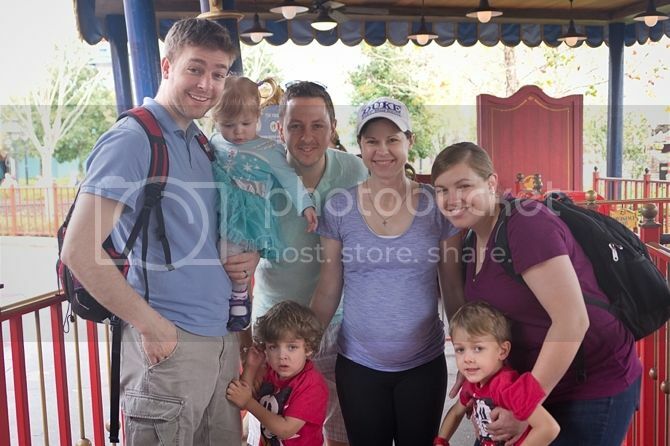 And our third day at Disney. We had to break out the Peter Pan costumes obviously. For some reason Braden always refuses to be Peter and wants to be Hook... I'm not sure if I should be concerned about that or not. 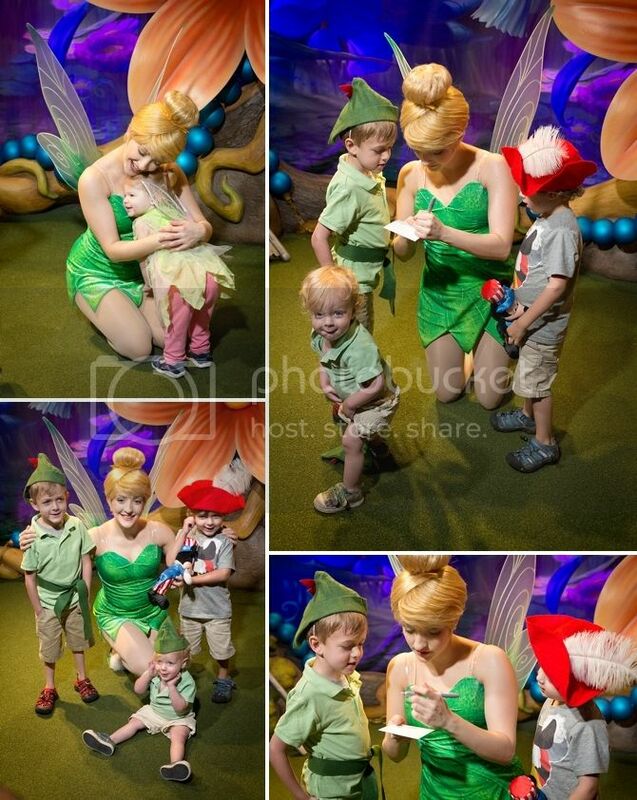 Meeting Tinkerbell is always fun--her set is really cute! Piper gave her the sweetest hug before she realized she was not a person and was actually a character and resumed being scared of characters. We had the characters all sign polaroids we took of them with the boys--which was so fun. We got a lot of really hilarious pictures and the boys love flipping through them now. 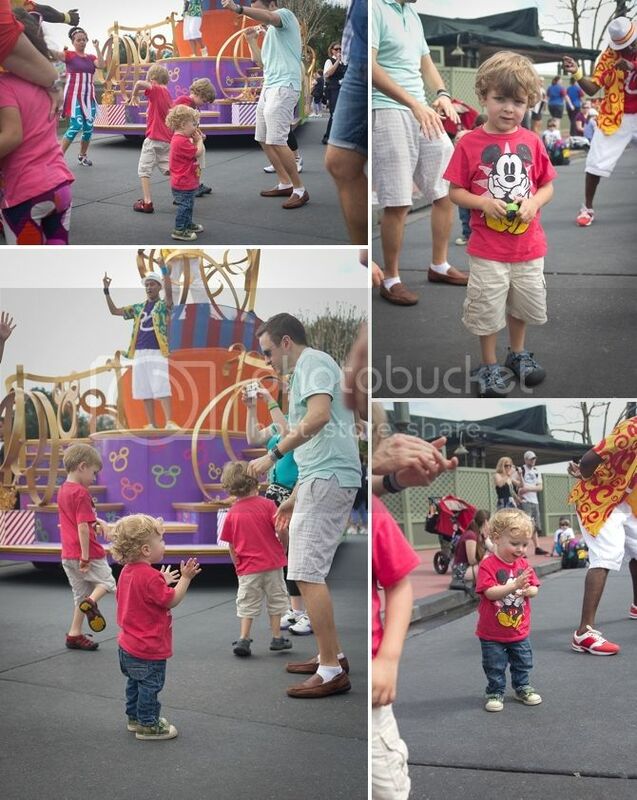 It was also pretty motivating for Finley--he loved the "magic" camera and showing the pictures to the characters. I'm having trouble focusing on anything other than Sol's socks + loafers fashion choice. SERIOUSLY. I'm not sure what he was doing.